Age at Intake: 9 years | Adopted: ? a Golden Oldie can offer easy adaptability to the ebb and flow of your household, tolerance of changes in your schedule, and a long attention span with a tight focus on your instructions and behavior preferences. Most senior animals are beautifully housebroken and are well past the slipper-chewing and rummaging-in-the-trash stage of life! a Golden Oldie can help you create a sublime Atmosphere of Laid-Back, an Existence of Easy-Going, and perhaps a few more naps on the sofa. Golden Retrievers mellow as they age. They're gentle with children, cats, other dogs, delivery persons, and neighbors strolling on the sidewalk. They're also a terrific example for other, younger, dogs in the household. a Golden Oldie can enjoy playing and walking without the intensity and duration a younger dog will demand of you. You can finish your work day, take your silver-faced, tail-wagging companion for a stroll around the block - and settle down together for a quiet evening. No strenuous running-jumping-tumbling-throwing-tugging required at the end of your day. a Golden Oldie can offer companionship, fun, affection, and spirited response - with stability, consistency, and reliability. When you adopt a Senior from our Rescue, the animal's personality characteristics, temperament and behavior in various circumstances are clear and present for all to see. If you meet an Oldie you think you can love, it's OK to take the plunge - 'cause what you see is definitely what you get! a Golden Oldie will have had enough life experience to appreciate the comfort and affection you can offer. Our dogs know about the heartbreak of loss, the fear of abandonment, the anxiety caused by pain or hunger - but what they know best of all is how to banish human loneliness with an affectionate lick or a gentle wag. Will you consider a Golden Oldie? If so, we can promise you'll experience loyalty to last a lifetime. One of our jobs is to watch our dogs carefully while an adoptive bond is forming. Again and again, as our Oldies are chosen, we're very certain we see understanding and relief and gratitude in their sweet and hopeful faces when new adopters say, by word or with a gentle touch, "You're safe now, and you're on your way home." 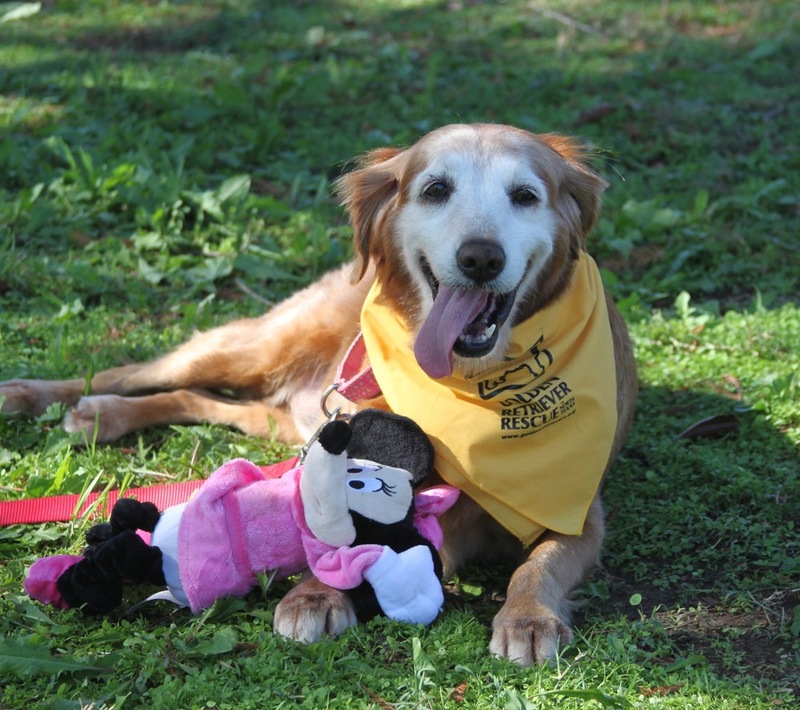 The GRRNT Permanent Foster Program provides a loving foster home and excellent medical care for unadoptable dogs, many of whom are Golden Oldies, until they cross the Rainbow Bridge. Some of the following dogs are Living and in the GRRNT Permanent Foster Program. Others listed below have already crossed the Rainbow Bridge.